Prepare for the most exciting evolution of EpicDuel since Omega! In addition to an impressive new Varium bundle, we're unlocking level 40! But what happens after you reach 40? Level 40 will allow all players to achieve Legendary status! This means you will continue to earn experience toward Legendary ranks, all the way up to 100! Each Rank will allow you to unlock points to invest in new stat categories. This part of Legendary mode is still in development and will be fully-released after the new year. This is partially because we want to make sure enough players have reached level 40 before turning it on, partially time constraints, and partially because of the next major chage to EpicDuel described below! Well, maybe 10 times the balance is a bit of an exaggeration, but this release, we're increasing key stats like health, energy, damage, and defense by a multiple of 10. This means that every point of stat investment will have a significant impact on your overall combat effectiveness. It also means that all the EpicDuel Maximum Damage videos are going to be posting some huge numbers! In addition to looking impressive, multiplying the stats also gives us finer control for balancing skills. We're making all the adjustments we can before we go live, but we're also hoping that all the battling over the holidays up to level 40 will give us good information on further tweaks. 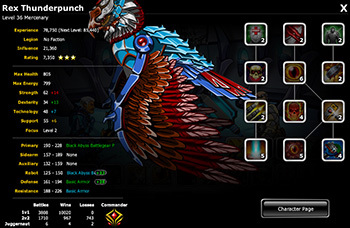 This release, we're unveiling the new Blood Hawk Battlegear Mega-Bundle! 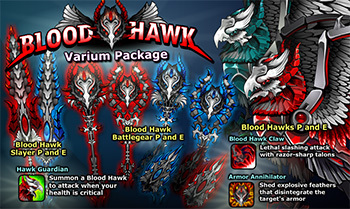 For the price of one 10k Varium package, you'll be getting 2 Blood Hawk Battlegear Mutating Weapons, 2 Blood Hawk Slayer Swords, 2 Blood Hawk Bots, and, of course, 10,000 Varium. These weapons will be available in the one-stop Varium shop for a limited time. 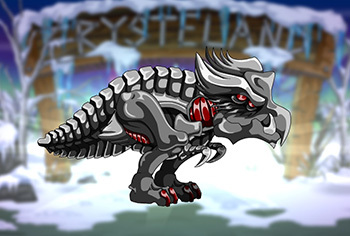 For those who would rather purchase the items piecemeal, Frysteland Valestra will be stocked with the Blood Hawk items in-game. This Active Core comes equipped to all the primary Blood Hawk weapons. 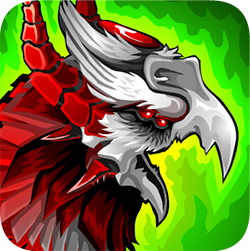 When your health is critical, summon a wild Blood Hawk to come to your aid and deliver a devastating claw attack to your opponent! 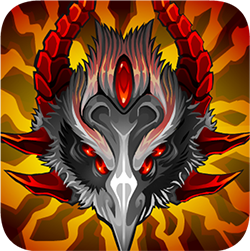 This Blood Hawk Bot skill allows you to summon the spirit of the mysterious Frysteland Blood Hawk to deliver a nasty attack with razor-sharp talons. 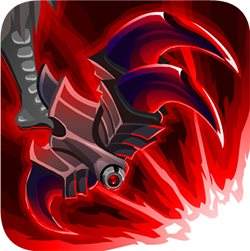 As a Blood Hawk, use your metallic claws to temporarily disintegrate your opponent's armor! This Winter, we decided to have a little fun with our new vehicle selection. Indead of riding a bike, you can actually become one of the creatures below! These designs are fully color-customizeable with entertaining travel animation! Are you Yeti? How Yeti are you? 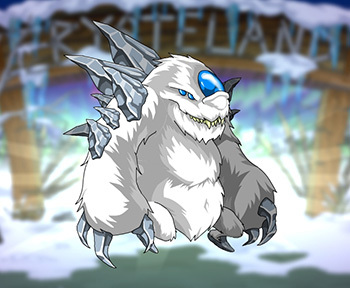 This year you can be an actual Baby Yeti! 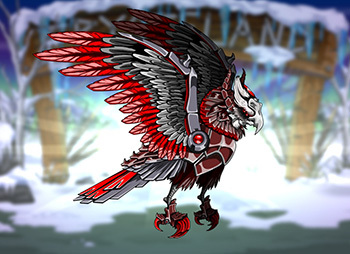 Soar above it all as a Blood Hawk! Dino Hawks are the ancient precursors to the Blood Hawks. They can't fly, but their strong hind legs allow them to move quickly across the snowy landscape. The final bike is a more conventional vehicle, concepted by G00ny and Smackey El Frog and vectorized by Charfade! 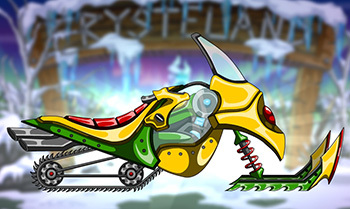 It's powerful treads will allow you to tear through the frozen tundra with ease! 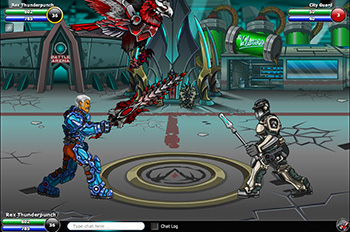 Ever wished you could take your favorite items from another AE game and use them in EpicDuel? After this release, you'll have your chance as we unveil new Arcade games for AdventureQuest, AdventureQuest Worlds, DragonFable, MechQuest, HeroSmash, and OverSoul. By collaborating with the other teams, we've amassed a mighty hoard of legendary weapons! New Arcade games also mean more Achievements and more leaderboards to dominate. With 6 Arcade prize pools respresenting the biggest AE games, you'll have plenty of reasons to farm Arcade Tokens over the Holidays! 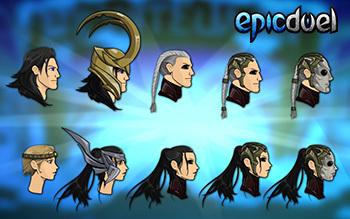 Thanks to the help of Revontheus, we've been able to introduce 30 new Asgardian styles! Alter your looks to resemble a notorious trickster god or a mighty Asgardian warrior. This Legendary release will be our last major release of 2013, but that doesn't mean we're slacking! We already have big plans for 2014, including a tutorial system to welcome and teach new players as well as features to keep the game fresh and exciting for veterans. 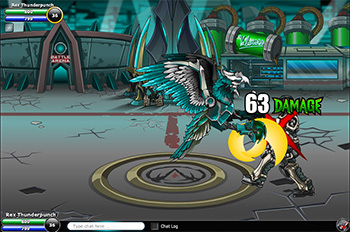 All the tools we've added to EpicDuel over the years, especially this year, have really streamlined our processes and made delivering feature and content-packed releases easier than ever. We have very high hopes for the future of EpicDuel, and we hope you'll join us in making 2014 Legendary! 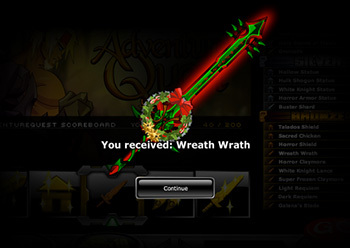 Happy Juloffenblotten and Frostval from all of your friends at Artix Entertainment! Duel On!